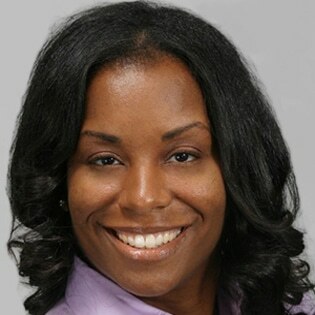 Dr. Andrea M. Fisher is a Clinical Psychologist licensed in the District of Columbia and Virginia. She earned a Master’s Degree in Counseling Psychology with a focus on Elementary School Counseling from Lehigh University in Bethlehem, Pennsylvania. Dr. Fisher worked as a middle school counselor in Fairfax County Public Schools for several years before entering The American School of Professional Psychology at Argosy University for her Doctorate of Psychology (Psy.D.). While a doctoral student Dr. Fisher gained significant clinical experiences, which included placement in a Community Mental Health agency conducting individual play therapy, family and group psychotherapy with children and adolescents, and conducting therapeutic parent-child interventions. In addition, she has experience working in an inpatient Psychiatric Hospital where she provided individual psychotherapy and conducted psychological evaluations with children and adolescents. Dr. Fisher completed an APA accredited pre-doctoral internship at Allegheny General Hospital in Pittsburgh, Pennsylvania. Although the focus of her internship was child therapy, it also involved an adult partial hospitalization rotation and neuropsychology rotation. Additionally, Dr. Fisher provided Trauma-focused Cognitive Behavioral Therapy (an evidenced-based treatment) with children at The Allegheny General Hospital Center for Traumatic Stress in Children and Adolescents. At The Center Dr. Fisher provided evaluations and treatment of children who have experienced a variety of traumatic life events. Dr. Fisher completed her post-doctoral work in Philadelphia where she worked at Children’s Crisis Treatment Center (CcTC). As a trauma-focused clinician, Dr. Fisher provided outpatient, individual/family therapy, and community-based interventions to children aged 3 to 14 years old who had experienced a wide range of trauma. She also worked closely with the families of these children to help support them, and provide them with the skills necessary to best care for their children who were coping with significant trauma-related symptoms. Additionally, Dr. Fisher is a graduate of the Washington School of Psychiatry’s two-year postgraduate certificate program in Child and Adolescent psychotherapy.